In a studio environment where standing waves in a range can mess up your perception of the actual sound. 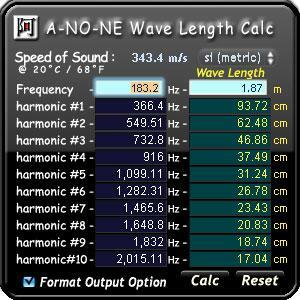 A so-called standing wave is a resonating frequency between, e.g. 2 parallel walls which distance is the same (or even 2 or more times) as the actual wave length. A-NO-NE Wave Length Calc will help you find the location of the offending reflection.